One hundred years after exile, the Israelites who had returned to Jerusalem were as evil and corrupt as their ancestors. The book of Malachi addresses their corruption regarding issues like sacrifices, marriage and tithing. It also affirms that God does love His people and will fulfill prophecy. The book of Malachi begins with an affirmation about the love God has shown to generations by choosing Jacob's family to carry His covenant promise. God admonishes the men who married foreign women, worshiped their gods or divorced their wives to be faithful to their covenant with Him and marriage. Israel feels neglected and wants God to show justice. He will send a messenger to prepare the Day of the Lord and purify the people. God calls the people to start offering a tithe again. It supports the temple, and He will bless them with abundance if they are faithful. 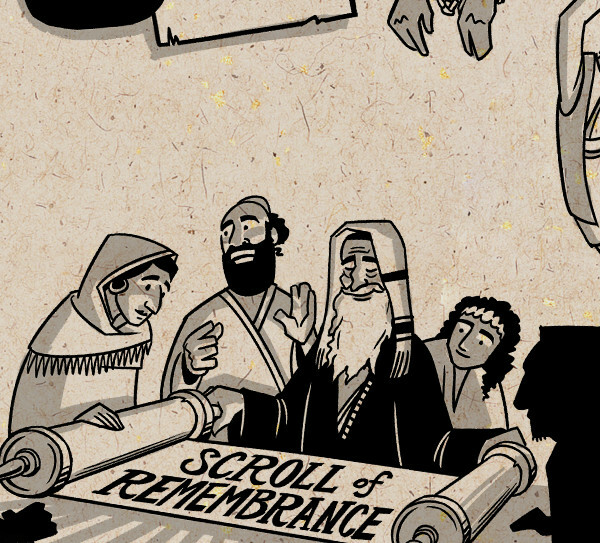 In the scroll of remembrance, God records the faithful remnant. It reminds them of His character and promises and inspires them to faithfulness and hope. The entire Scripture is one unified story that tells us the truth about the human condition and sin while announcing God's promise to one day send a messenger and then show up personally. He will defeat evil and purify a faithful remnant, establish a New Jerusalem and bring peace, healing and justice forever. It's that promise that prompts God's people to denounce sin, remain faithful to His covenant and hope for the future.